Osteoid was created by Turkish student Deniz Karasahin. 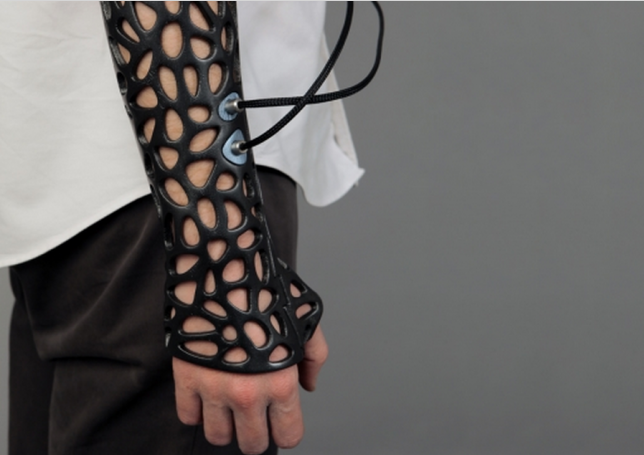 He incorporated 3D printing & ultrasonic tech to make bone healing faster. In effect, Deniz was able to get ultrasonic healing vibrations to bones by using the skeletal deign, and ultrasonic drivers are placed under the skin. It’s a protoype today, but technology is making light-speed advancements in medicine.